In keeping with the theme of Childhood in America, here’s a piece about a boy struggling with vision loss in Depression-era Chicago. 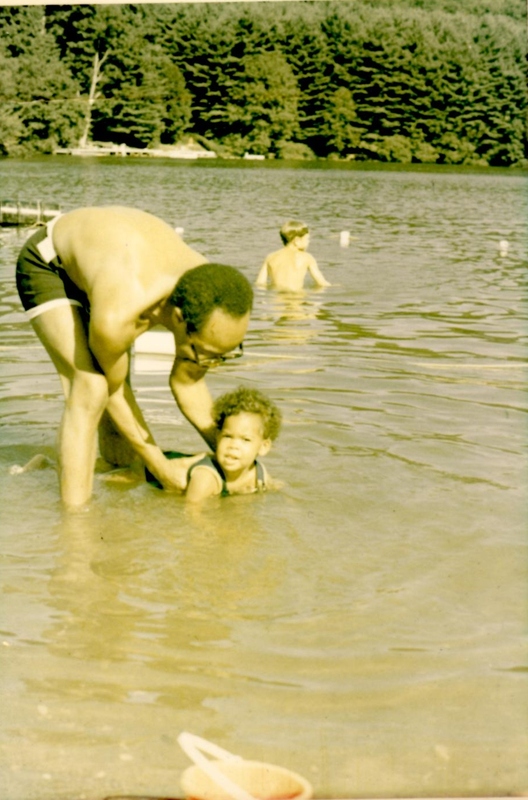 (A slightly fictionalized account of how my father got his first pair of glasses). By the time Melvin was five the world had begun to fade. It happened bit by bit in subtle ways. Lines of things once solid grew feathers; faces once withered and angled grew soft and smooth. A golden lump in the middle of the rug stirred from a nap and became his dog. Melvin had no language to describe to his mother and sister what was happening to him, no inkling it didn’t happen to everyone. In 1928, routine vision checks were not performed in the public schools, not in Melvin’s public school. Then came a day in 1931, when he was eight. It was a beautiful day which for Melvin meant warm and light, the same day other people saw only through a scrim, a thin film of cotton. Had it not been Sunday, it would have been a perfect day to meet the boys for a game—Melvin could run fast, even if he couldn’t see or hit the ball. But there was no playing for Melvin on Sundays. After church they all came home to feed the poor. While his mother fried and baked and boiled and sautéed, Melvin and his sister would lay the banquet out on the front porch for the neighborhood children and families who had nothing—no money, no food, no father like Melvin’s father who worked six days a week (Tuesday through Sunday) as a porter on the Georgia Pacific, putting food on the table Depression or no Depression. The poor neighbors would gather hungrily, collective gaze cast down in shame and gratitude. Melvin was glad then, for whatever kept the world’s sharpness from his view. He never wanted to meet the eyes of classmates who turned up. followed by his sister’s amen, which Melvin echoed entering the room. Though he’d secretly espoused his own brand of atheism a few years earlier—(how to believe in a God who sets rich against poor, white against black, Gentile against Jew? A God who cast a ball-playing boy’s world in fog? )—he wasn’t above feigning devotion to make his mother happy. Her smile—especially up close, when she held his face and told him how good he was, how smart, how handsome—was one of the few things Melvin was sure his eyes still had right. Melvin’s mother was in high spirits after church, feeling magnanimous enough to let Melvin go play ball instead of helping with the porch spread. Down the church steps he raced, around the corner, past the library across from the empty lot. He lunged into the street without checking for cars—there were so few in the neighborhood that looking both ways before crossing wasn’t a habit for most children. In any case, had Melvin taken the trouble to check, what would he have seen? In all likelihood he’d still have been hit by the 1928 Ford as it lumbered up South Parkway. His mother would say it was a miracle he wasn’t killed, that his injuries weren’t even serious. And no one could argue with her that He does work in mysterious ways. In the hospital, Melvin was put through a series of tests to which he’d never have been subjected otherwise. Including an eye exam. 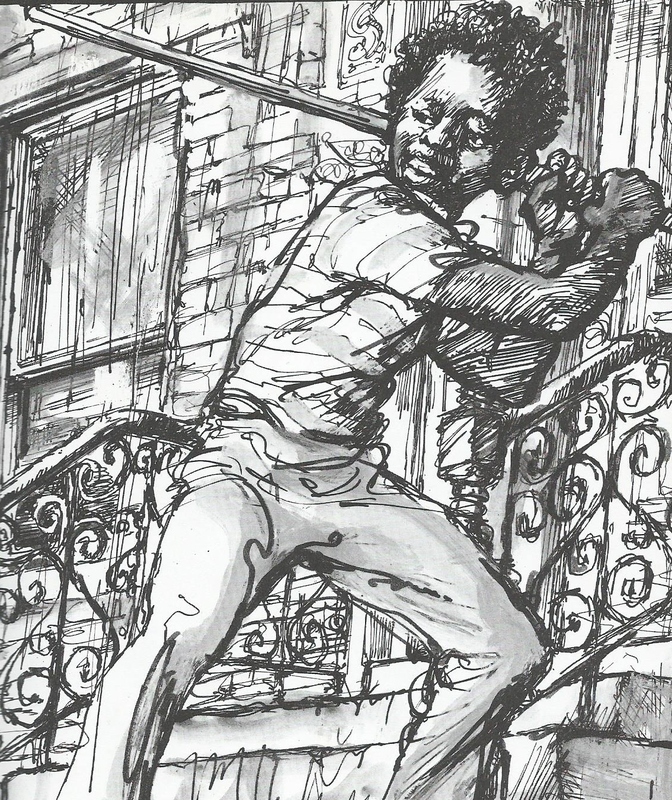 A week after the accident, he was up and running as fast as ever before, only now he could hit the ball, thanks to his new eye-glasses that lifted the scrim revealing a world more detailed than Melvin could have imagined.